Did you know that April 22nd is Earth Day? Although we are great at gardening, composting and recycling, we haven't put much time or effort into plants in our home. Adding greenery is such a simple, affordable, and lovely way to spruce things up! 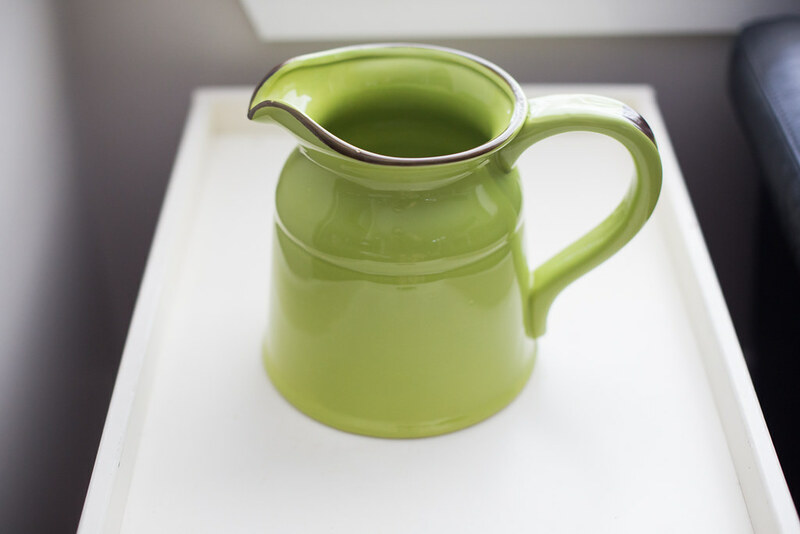 Looking at Wayfair.ca I found this beautiful Maize Pitcher by Birch Lane and thought it would be perfect as a centerpiece for our new harvest table. 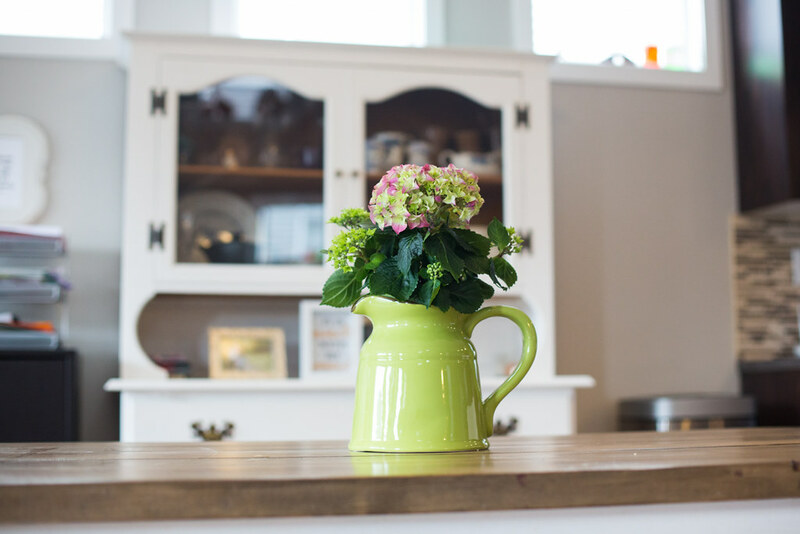 Being that we have five energetic children, I wanted a planter that would be stable and durable and yet not take up too much room on the kitchen table – this was a perfect fit! It is a glazed ceramic with a rustic finish and comes in four different colours: green, yellow, red and aqua. There are two sizes available and this one is the larger one which is 10" wide with the handle and 8" high. In regards to what to plant I considered succulents and cacti – low maintenance is where it's at! However, I found this beautiful hydrangea plant and put it directly in the planter in it's original container in case I would like to transplant it outside this fall. 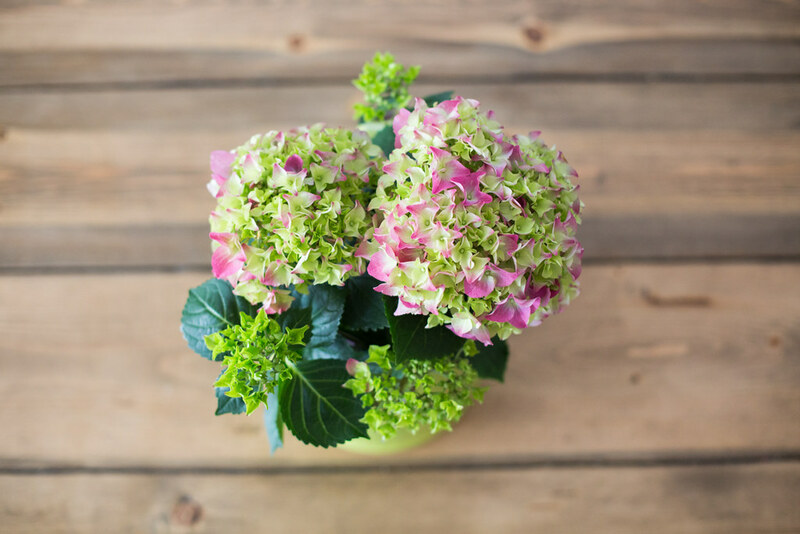 Hydrangeas require cool air, bright light and moist soil so as long as we remember to water it daily it should be good. Did you know the pH of the soil alters it's colours? This pink one is best in a pH above 7 and blue hyrangeas are in a pH of 5.5. 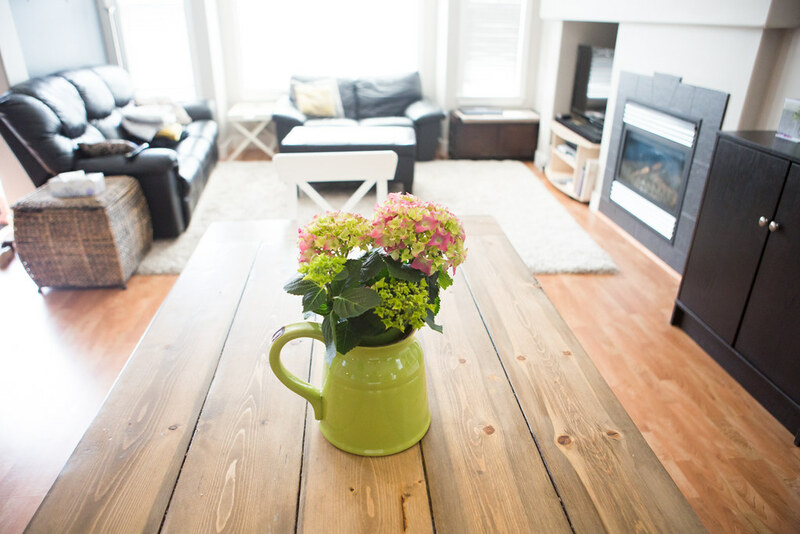 I love how the green pitcher matches the flowers and adds a pop of colour to our home. I appreciate that the size allows us to keep it on the table while we are eating and we can still see each other just fine. Along with these hydrangeas we have added some ivy, jade and succulents to our home and I am loving how simple it is! Do you have a lot of plants in your home? What colour would you get? I love it! I just checked out the site, I want the yellow one for my kitchen!! :) is the one you bought the larger one of the two?